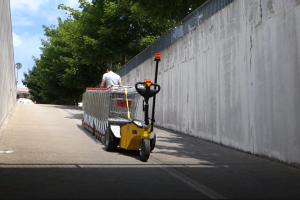 The TT-950 is a three wheeled, ZERO emissions, electric drive, pedestrian vehicle with remote control designed to easily move shopping carts in supermarkets and shopping centers. It reduces the manual effort required to perform repetitive tasks, thereby improving productivity and reducing the chance of work related injuries. 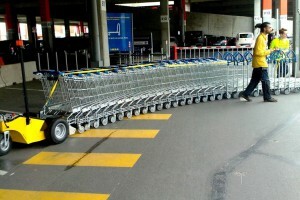 Its power allows the handling to the parking area of 30 shopping carts guided by the operator. 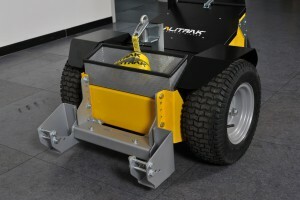 To grant a better visibility it is fitted with an operational flashing light.